Burlanes are the Sevenoaks stockists of Hurlingham baths. 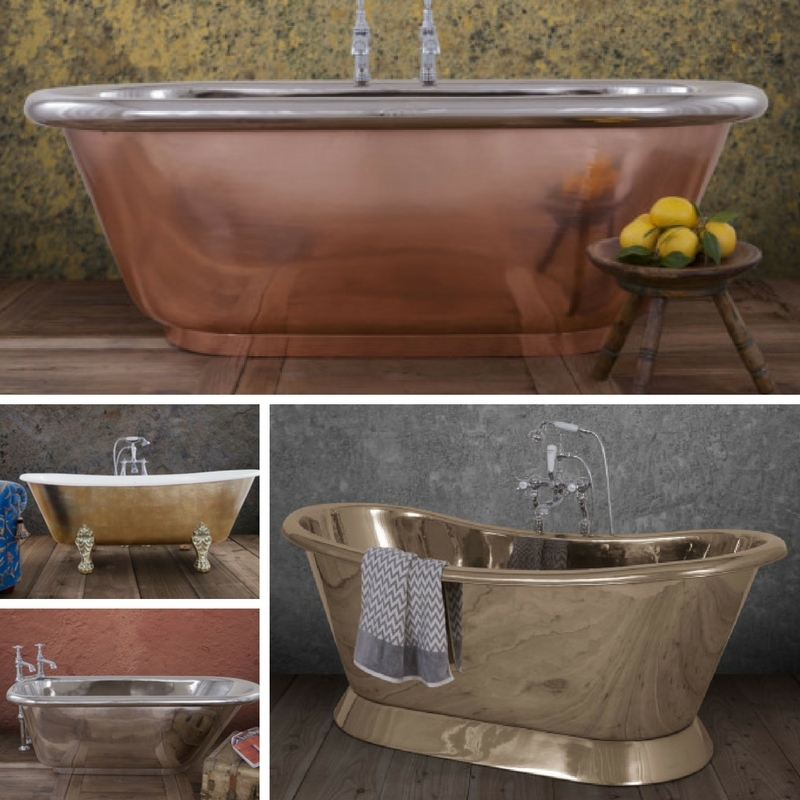 A unique, distinctive collection of copper, cast iron and brass free-standing baths. Your bathroom is a private oasis to unwind and relax. Burlanes will help you create your own boutique hotel style bathroom and a classic, freestanding tub makes taking a bath a real treat and adds a touch of elegance to a bathroom. Hurlingham baths offer the ultimate luxury statement to finish your beautiful bathroom. Made from classic and authentic materials such as cast iron, copper, brass, stainless steel and even marble, the Hurlingham baths are customised and hand decorated in their Lincolnshire workshop by skilled craftsmen. We love the copper baths. Which one is your favourite? Burlanes Interiors are registered suppliers of other unique, exclusive bathroom products and offer a bespoke interiors service for those looking for a truly unique, custom designed room. If you would like to talk through your requirements with us do not hesitate to call on 01732 605001 or email enquiries@burlanes.com to register for a free design consultation. We work with budgets over £8,000 (not including installation).